In the words of The Graduate’s Walter Brooke, “I want to say one word to you. Just one word…. Plastics.” Like Benjamin Braddock, you may be wondering, “Exactly how do you mean?” Well, with regards to producing and manufacturing retail displays, plastics can provide a variety of benefits. There are many varieties of plastic, including acrylic, plexiglass, and PVC. 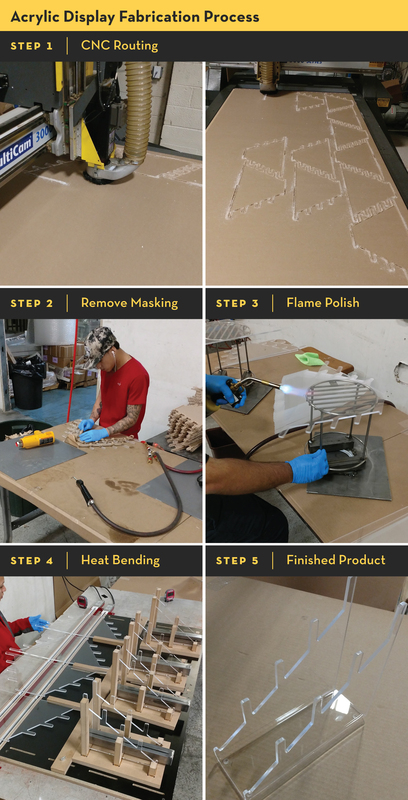 These materials can be fabricated for a range of uses, from small countertop displays to housing digital information kiosks. Plastic has a certain aesthetic quality that no other material has. Its sleek appearance is perfect for cosmetic displays, dinnerware displays, and electronic displays. Plastic is highly malleable and has a low melting point. Because of this, it can be shaped fairly easily into a range of shapes, patterns, and structures. It’s not the most durable material. While plastic’s lightweight nature may be perfect for certain applications, it means that it is not a good weight-bearing material and does not provide great structural integrity. Compared to glass, plastic (especially acrylic) scratches much more easily. However, this is easy to fix with a quick polish. 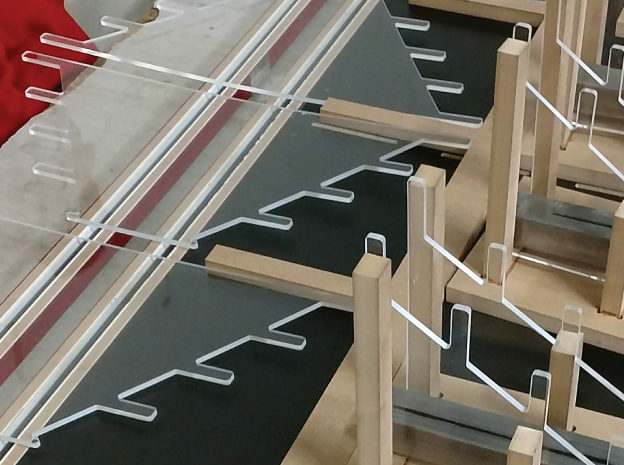 While plastic may not be the ideal material for every application, it does offer a variety of benefits when compared to other common display fabrication materials. Contact a Metaline sales representative today to find out if plastic is the right material to make your point-of-purchase display POP.